We couldn't have made history on May 16 without so many amazing volunteers, and now we want to celebrate together as we re-launch our campaign for the general election! 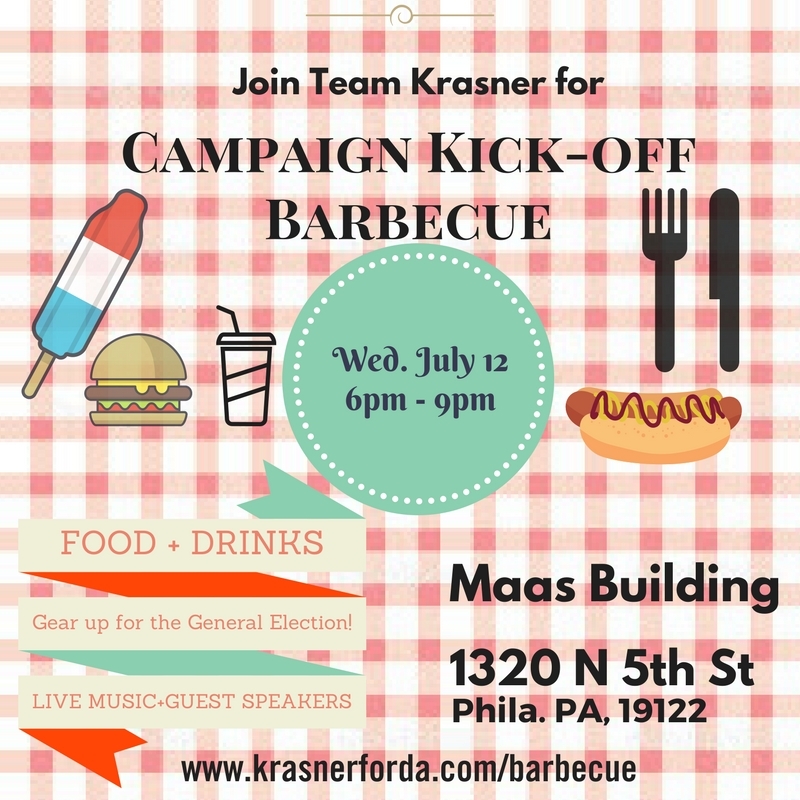 Join us for our campaign kick-off barbecue on Wednesday, July 12th, from 6 to 9pm at the Maas Building garden (enter at on 1320 N. 5th St). We'll have food, drinks, music — and don't worry about the weather, there's an indoor space as well! Please RSVP here so we know how much food to get! We've done some incredible work already, and we're going to do even more in the coming months. Let's celebrate that together.